NACOGODOCHES – Participating merchants in historic downtown Nacogdoches are gearing up for their monthly installment of Senior Discount Day. The monthly shopping promotion is held on the 1st Tuesday of each month, which means Tuesday, June 5th seniors can receive an extra discount along the red brick streets. “We are happy with the response we have gotten so far with this promotion. This is just another avenue to encourage our residents to Shop Nac First,” said Main Street Manager Sarah O’Brien. Seventeen downtown merchants participate in the Senior Discount Day. A list of participating merchants will be available for pick up at the Convention & Visitors Bureau, located at 200 E. Main Street. Merchants for June include: Convention & Visitors Bureau, Wildflower, Brick Street Antiques, CASA, Glass Castles, Coats Gallery, Kennedy’s, Macy May’s, Old Town Antiques, Special Finds Antiques & Collectibles, Stuff N such, The Mushroom, Trinkets to Treasures, Heart of Texas, House of Traditions, the Good Book, and Lyric’s French Knot Quilt Shop. “Special thanks to all of our merchants for making this in-store promotion possible,” said O’Brien. 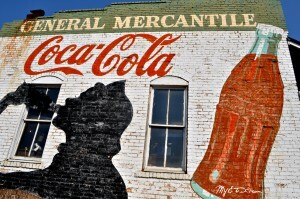 While the definition of Senior Citizen varies historic downtown Nacogdoches merchants will honor the Senior Discount to residents and visitors over 55 years of age. The 10% discount will be honored at all of the participating merchants throughout the day on June 5th . Be sure to check individual store hours before making plans to head downtown! For questions about historic downtown Nacogdoches, or the Senior Discount Day you can contact Main Street Manager, Sarah O’Brien at 936-559-2573 or email her at obriens@ci.nacogdoches.tx.us. 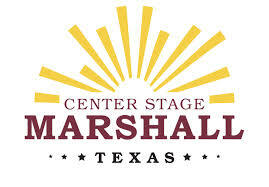 MARSHALL- Motorcycle bike stunt shows will add to the center stage activities of family entertainment for the public and rally attendees during the April 26 -28 Marshall Bike Rally. Hundreds of bikers and large audiences are expected during the event that is to benefit Shriners Children’s Hospital – Shreveport. 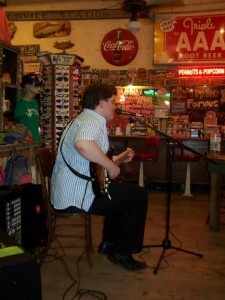 The Blues are a part of East Texas as much as pine trees, Friday night football and Bar-B-Q. Many of America’s most influential blues musicians were from East Texas. Names like Blind Lemon Jefferson of Coutchman, T Bone Walker of Linden, Lightnin’ Hopkins of Centerville and Lil’ Son Jackson of Tyler were just a few of the Texas Bluesmen that helped develop the blues. African Americans cultivated this music form in the lumber camps, farms and oil fields of East Texas. This musical legacy is carried on today by young musicians like Rafael Espinoza and Mike Dyson. Where is the Rain Tree? In the Elizabeth Taylor and Montgomery Clift, movie “Raintree County” the rain tree is considered a mythical and magical tree that those who find it discover love under a rain of yellow blossoms. Since I have the love part handled, I will gladly take the rain part…preferably ginormous drops of sweet H2O. Copyright © 2019 My East Texas. All rights reserved.